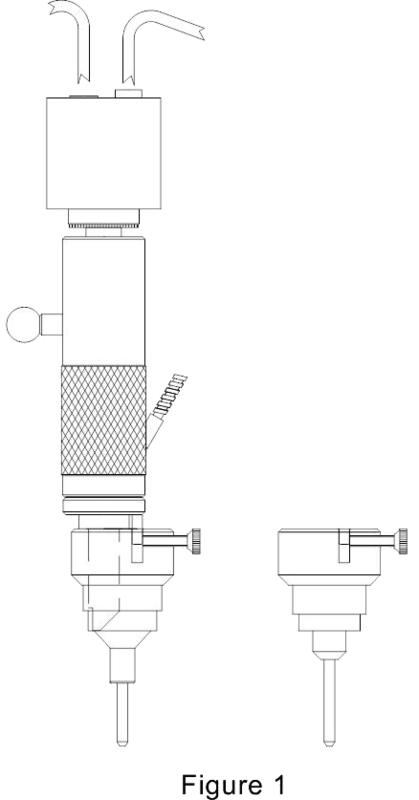 Gage is custom designed for each application and includes one SIGHT-PIPE(R) BOREVIEW(TM), Positioners; one for Intake and one for Exhaust, line generator, camera, optics, adjustable lighting, monitor and certified master (Figure 1). This Gage can also be designed to be dedicated, where there is one complete Gage for Intake and one complete Gage for Exhaust, thus eliminating the need to switch Positioners. 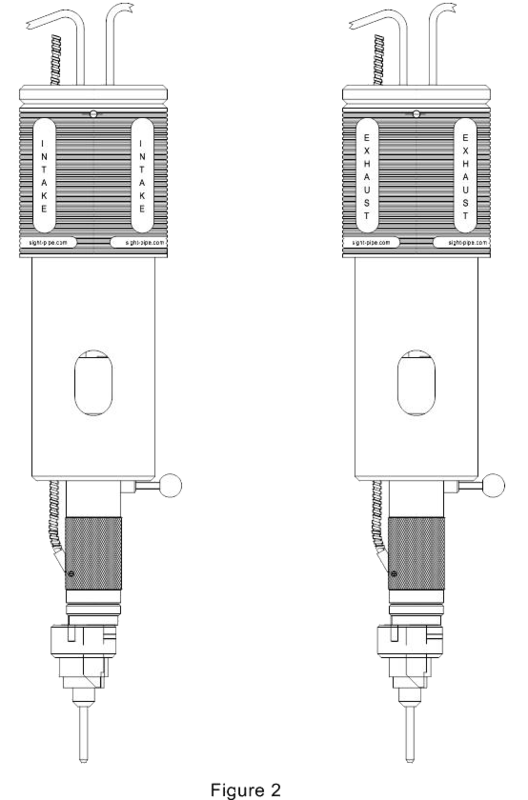 The monitor is shared with an A-B switch box (Figure 2). This Gage is used in cylinder heads to visually confirm intake and exhaust inserts have been pressed in correctly with no gaps present. When Gage is placed in certified master a line generator allows dual lines to be established on the monitor representing a defined limit. When Gage is placed into head if a gap is present the dual lines can be moved, in tandem, over the gap to approximate gap size. Send us a sample part you need to inspect and we'll send a detailed quote today!